The Special Teams Captain says football isn't the most important thing he'll do. “This is not life and death. 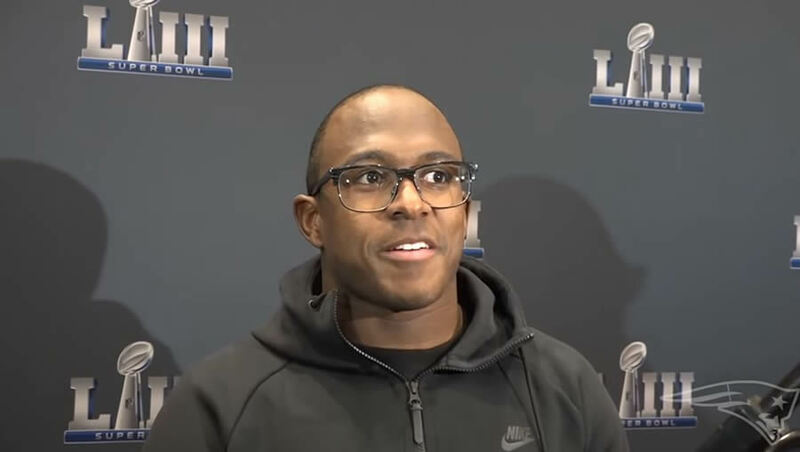 This is not the biggest thing that we’ll do,” New England Patriots wide receiver and Special Teams captain Matthew Slater told CBN Sports. “The biggest and most important decision we’ll ever make in our lives is what we do with the knowledge of Jesus Christ.” Slater has been very vocal about his relationship with Jesus. Football is just a game. “The whole reason I got into football was because of my dad. He was my hero,” Slater talked with the Boston Globe about his father, Jackie Slater. “There’s no one in my life that has had more influence in my life, on who I am [and] where I am, than my father. My love for the game, I got it from him.’’ The elder Slater was a Rams offensive tackle for 20 years. And Matthew Slater picked up some of his dad’s habits — including the coin toss. Slater remembers his dad doing the coin toss for the Rams. “He always called heads, so I asked him one time, ‘Hey, why do you do that? What’s the story behind that?’ I think anyone who knows my family knows faith is important to us, and for him, he was always like, ‘You know, God’s the head of my life, so I call heads.’ That was something he came up with, and I’ve kind of just embraced it.” Now Slater calls heads on each of his coin tosses. Slater and the rest of the Patriots face off Sunday against the Los Angeles Rams. It’ll be Slater’s fifth time to play at the Super Bowl. So who will dad root for at Super Bowl LIII? His old team or his son’s current team?